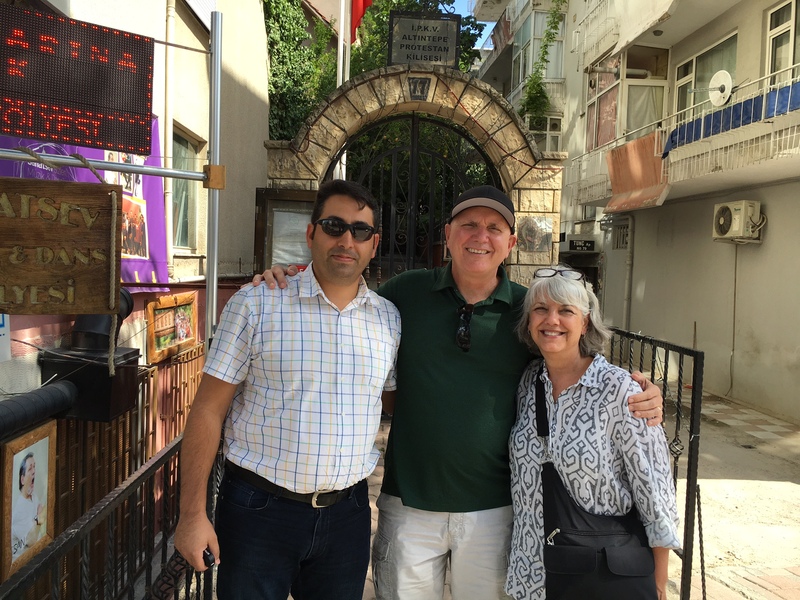 Posted on January 22, 2019 Pray for Laura and Rich Freeman working with Turkish pastors and key Christian leaders to help establish and maintain new churches in Turkey. Laura and Rich are associate development workers jointly appointed with International Ministries and their nonprofit organization, Turkish Connections International. They serve in the establishment of new churches in one of the least-reached countries on earth: Turkey. They work with Turkish pastors and key Christian leaders to accomplish three goals: first, identifying new potential pastors that are well-trained and highly respected; second, gathering needed financial support for these pastors; and third, maintaining ongoing contact with each new church, engaging and nurturing the pastors. In order to connect Christians in the United States and Puerto Rico with God’s work in this country, Laura and Rich provide a quarterly prayer newsletter and offer service projects in Turkey. BBC News had a recent article entitled, The Young Turks Rejecting Islam. The President of Turkey repeatedly talks about “bringing up a pious generation”, but politicians and religious clerics are wondering whether these pious young people are moving away from Islam. In this report, BBC news interviewed a number of young Turkish professionals. One woman, who used to cover her head in public and was a radical believer in Islam now says, “I do not know whether there is a God or not, and I really do not care.” One professor recently stated that more than a dozen students wearing headscarves have declared they are now atheists. A growing number of young professionals still believe there is a God, but no longer believe in the tenets of Islam. Annual Outreach on Buyukada Island – Each year in April, 100,000 or more Turks visit this beautiful island because they believe God will somehow touch their lives spiritually. During the gathering this year, fifty Turkish Christians were on the island to meet the seekers and pray with them. Over 5000 New Testaments were distributed along with 20,000 over pieces of Christian literature. Pray for every one of these dear Muslim seekers who encountered Christian love and kindness on the island. Samsun Christian Fellowship –Pastor Orhan shares that a group of Iranian refugees have started coming to his church and have requested baptism. These new Christians are now contacted their friends and family in Iran to share their new-found faith. Pray for refugees in Turkey from Iran, Syria, Afghanistan, and other Middle Eastern countries. These refugees seem especially open to the Christian message of love and hope. Asma Launderette Project – A team of Christians in the city of Izmir has set up a place for refugees to do their laundry, learn English, and help children with schoolwork. It is a beautiful outreach and runs at full capacity every day. Please pray for the volunteers and financial support to keep this ministry going strong. Lives are being changed through such a loving touch with refugee families! Tuzla Christian Fellowship – This new church in the outskirts of Istanbul is one of a dozen new fellowships that TCI is supporting. In Tuzla and other such new starts, it is very difficult to find a landlord who will rent to a church. Pray for God to touch the hearts of landlords in Turkey to be open to renting their facilities to the growing number of new churches. Thank you for your partnership with Turkish Connections. Your support and prayers are enabling us to work with 45 churches in Turkey!